We all use the word ‘personality’ in everyday language. We might use it to describe how we experience another person (“She has a nice personality.”) We use it to describe elements of how a person may behave, in the case of personality traits. And sometimes we use it interchangeably with the word ‘character’ to describe somebody. But what actually is a personality, and why does it matter – particularly when it comes to psychotherapy? As the word ‘personality’ refers to the mind of a person, and as no human has ever seen a mind, in essence, the term is an abstraction. It’s an idea, a way of understanding how we tick, not a concrete object. The dictionary suggests that a personality is a collection of characteristics that make up somebody’s character. What, then, is character? According to the dictionary, it is the mental and moral qualities distinctive to a particular individual. And character is apparently synonymous with personality! Confused yet? OK, so this is how we mental health professionals generally understand personality. Personality is made up of two distinct categories – temperament and character (there’s that word again). Temperament is considered to be the traits that we inherit from our parents – either genetically, or through other biological means. A person’s temperament may be a higher predisposition to anxiety, a genetic predisposition to addiction, or to being quick to anger. We are either born with our temperament. or it is developed in utero or shortly thereafter. Character, in contrast to temperament, is something that emerges at a slower rate as we grow, explore our world, relate to our caregiver and mature. For example, we learn how to relate to others (particularly in close relationships) through our own attachment story with our primary carer. This way of relating takes place over a significant period of time. We can substitute ‘temperament’ for the word ‘nature’ and ‘character’ for the word ‘nurture’ to keep things simple. While most forward-thinking counsellors or psychotherapists will acknowledge that nature and nurture both play a significant role in defining our character, the jury remains out as to exactly where the boundary lies between the two. In fact, there may be no boundary at all! For example, it is now increasingly accepted that what matters is not so much a genetic predisposition, but epi-genetics – how our genes interact with our environment. Therefore, just because someone has a genetic predisposition towards alcoholism, if they are raised in a loving home where they can develop a strong, solid sense of identity, it is unlikely they will become a full-blown alcoholic. Therefore, personality matters as it is a word that encapsulates a large part of our identity and mind. 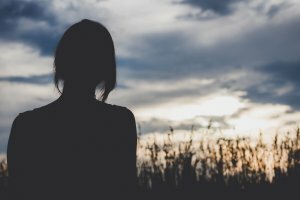 And in mental health it is particularly important, as when clinicians treat clients or patients, the work will be significantly different depending on whether the presenting issue is an isolated issue, such as anxiety, or whether the problem relates more to the structure of a person’s personality. Just to confuse matters further, if a client presents with anxiety and has traits or a diagnosed personality disorder, the work will be lengthy and complex. If who we are – how we experience ourselves and relate to others – is dysfunctional, damaging or harmful, then deep psychotherapy is required to restructure the personality. As personalities have taken a long time to form, it takes time for them to change. And because personalities are made up of temperament and character – nature and nurture – how much change is possible is something the therapy will uncover. The goal of depth psychotherapy is, of course, change on the level of the personality. However, it is also about developing a kindness and compassion for one’s personal limitations and accepting these so we may lead a calmer, more fulfilled life.